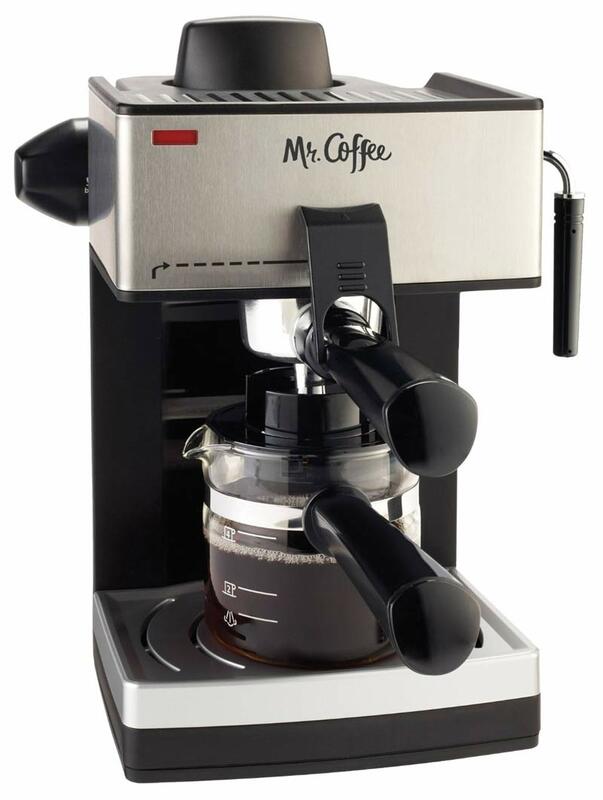 At around $40, the Mr. Coffee ECM160 is no more than an entry level coffee machine as far as price goes, but it does a lot more than most entry level machines as far as the drinks are concerned. 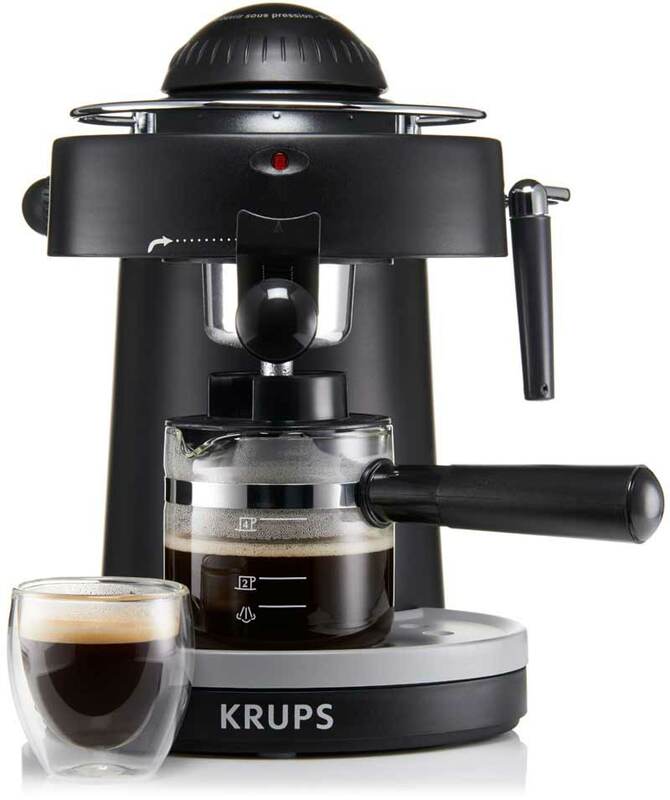 The KRUPS XP1000 is not much wider than the small espresso cup it fills with liquid heaven, and the height is minimal compared to a lot of other models. The small size only requires a bigger radius when the cup is in place and brewing, because the handle sticks out past the body. Nice.